Extending the tourist season is the goal of many tourism operators, and some have found innovative ways of doing so – the island of Hvar, for example. 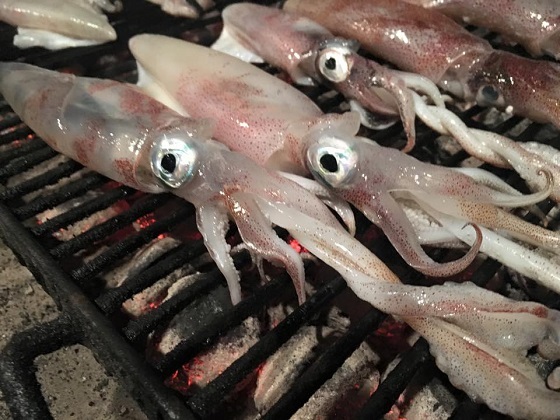 Started back in 2011 by Restaurant Gariful, the annual Peskafondo squid-fishing championship is now a firmly established part of the Hvar calendar, as teams of squid fishermen from all over the region compete for the biggest catch during the two day event. This year’s event will be the biggest ever, with 42 teams registered so far, with teams from as far away as Macedonia, Montenegro, Italy, Slovenia and Serbia. It is a time when the town’s residents, fresh from their olive groves after another successful season, gather to celebrate, as the town comes to life once more. This year’s programme is the biggest ever – read it here – and check out the atmosphere from a previous Peskafondo in the video below. For more information about Hvar as a destination, click here. 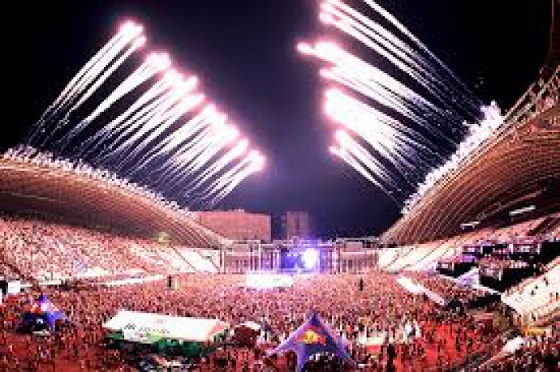 There is no doubting which is the biggest party of the year in Central Dalmatia, and in just three short years, the destination has been put firmly on the destination map by the Ultra Europe Music Festival, which will be returning to Central Dalmatia in July 2016. Recently named Best Festival in Croatia 2015 at the annual Days of Croatian Tourism Festival, next year’s festivities will span a whole week from the opening party on July 14 to the closing Resistance party on Vis on July 20. Poljud Stadium will once again host the main event, with three nights of partying on July 15, 16 and 17, to be followed by a yacht regatta off Zlatni Rat in Bol, before the wild beach party in the cascading pools of Hvar’s Hotel Amfora. It promised to be a great week. Here is a taster of the 2014 festival, via the official aftermovie. One of the most glamorous islands in the Adriatic Sea, Hvar plays host to the see-and-be-seen scene of the Dalmatian Islands. The island’s main city, Hvar Town, exudes beauty, too, with 13th-century walls surrounding delicate Venetian architecture and pedestrian-only marble streets. Pro tip: Join the new Riviera’s most fashionable at the Top, Adriana Hvar Marina Hotel & Spa’s chic rooftop bar, overlooking the yacht-filled marina. The hotel also offers incredible spa services, including a rooftop lounge with cabanas for massages and an indoor-outdoor seawater pool. Getting there: Book a flight to Split, the closest airport to the Dalmatians’ 79 islands, and hop onto a water taxi to Hvar. The trip usually takes around one hour. While the city of Split understandably grabs many of the tourist headlines in Central Dalmatia, it was the Split Riviera that was in the spotlight at the Days of Croatian Tourism awards for its year-round potential. 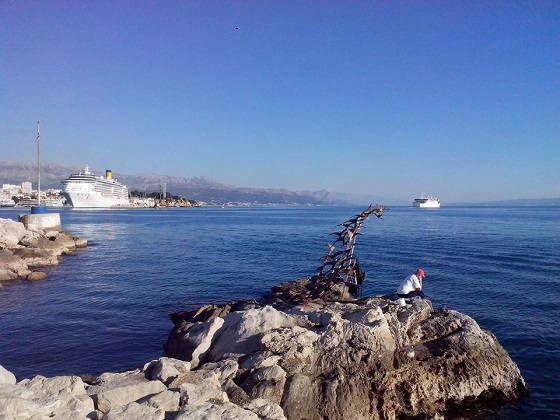 The Split Riviera was named Best Destination for Croatia 365, and little wonder, as the string of destinations along the coast either side of Split are filled with treasures to be discovered whatever the season. 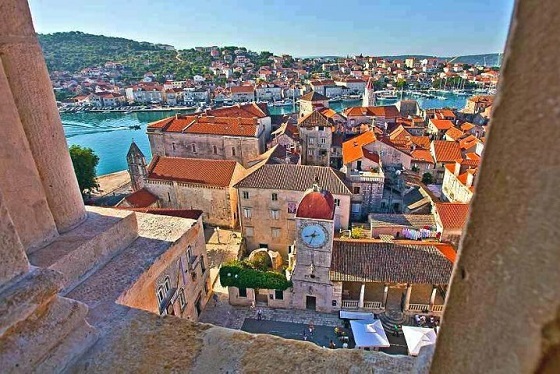 This is perhaps best reflected by the fact that several have become known as Game of Thrones filming locations, including Klis Fortress, Kastela, Zrnovnica and the cellars of Diocletian’s Palace. Let us not forget the UNESCO World Heritage Site of Trogir, just 20 km from another UNESCO site, Diocletian’s Palace, which are both interspersed by the seven Kastela villages, each with their own identity and tradition. While Klis fortress oversees the riviera majestically, nearby Solin holds the Roman secrets of the path, just one of many Roman gems to be discovered in the region. South of Split, the riviera winds on, offering plenty of heritage and nature to enjoy 12 months a year, including the pirate town of Omis, guardian to the imperious Cetina River. Thought the Dalmatian coast was just about beaches? Take a tour of the Split Riviera to find out why it has been named the best year-round destination. Learn more here. More recognition for the city of Split, this time at the annual Days of Croatian Tourism awards in Porec, as the Dalmatian capital was named Most Successful City Break, thereby further enhancing its reputation as a hit destination after being known for so long as the Gateway to the Dalmatian Islands. Split is the fasting growing major destination on the coast, and its exciting gourmet scene has mirrored that rise, as a range of new and innovative restaurants have opened up in and around the 1,700 year-old Diocletian’s Palace. A significant increase in destinations serviced by Split Airport, as well as the introduction of seaplanes to downtown Split (with year-round direct services to Italy starting in November 2015), making Split more accessible than ever. The season has been getting longer too, and the city is preparing for a busy Christmas period, as the highly successful Advent in Split will once again return to the Riva and palace. What better way to escape for a romantic weekend this winter? To learn more about Split as a destination, click here.